Great girls night! Amazing night had by all, second time on the bikes! Caroline and Jack were amazing! Great service and so much fun! Michael & Niamh are the best people ever. They were so nice and so friendly. It was the best day of my life. We had originally booked this for March but due to weather we took a rain check and headed out last night. I have to say it was genuinely the best craic. Even tho we had some cancellations in our group our two hosts more than made up for it. Nigel and Conor are the best. We will definitely be back and maybe go for the two hour tour instead. The tunes were blasting and all drinks topped up constantly. Absolutely best customer service ever! Second time on the tours and both times were brilliant! Caroline quickly learned everyone’s names and gave us loads of time for photos and suggested a route change when we couldn’t get through the traffic. I left some sentimental tokens from my Hen party in a plastic bag on the bus and when I left a voicemail with Jennifer she got back to me straight away and put me in contact with Tony who looked through not one but two rubbish bags to find my plastic bag! All staff went above and beyond for us and I am so grateful! Amazing activity with amazing staff! Thank you! Best way to start a night out. We booked to start our night out on a hen weekend and it was an amazing start. Lots of laughs, music and the guys on the tour were great fun. Would definitely recommend and will book again when I'm back in Belfast. Toast Tour We had a fantastic time on our toast tour, all the staff were brilliant and very accommodating. It was a good laugh and I would definitely recommend this to anyone who was thinking about doing it. It is also bring your own drink and they keep you topped up which is fantastic. We stopped off at a few bars and you can hop on and off to have a drink in them. Will deffo be back! Amazing!! Done this as a surprise for my friends 21st and had a ball from start to finish. Our driver and barista were fantastic and joined in on our fun! Can't wait to book again thankyou! Great fun for all types of groups! Brilliant fun. The hosts were great. Interesting and interactive way to see the city. Really glad we took the 2 hours as it just went so quick because we had so much fun! Definite must do if you don’t mind a party atmosphere and a chance to meet some friendly, fellow like minded travellers or party goers. Had a fab time doing this yesterday for my sister's 30th birthday. The hour flew in, it was really good craic. The pedalling soon warmed us up even though it was baltic! Thanks to the guys who helped us pedal, steered, and poured our drinks. Everything was very well done from the booking process to finish. Would highly recommend Wee Toast Tours to anyone, and hope to do it again! Had the best fun on this tour on our girls trip to Belfast. Sooooo funny and the best craic with Tom and Aaron. Brilliant fun and well worth the money. Thanks so much. Made the weekend. Such a great time we had. This was booked for 12 ppl for my cousins stag night and we all had a really great time. Such a great time we had. This was booked for 12 ppl for my cousins stag night and we all had a really great time. Could not fault this service. 110% from start to finish and Jennifer the owner makes you feel very welcome and will help you out and organise a great trip. Will Defo be back Thanks Jennifer!!!! My family & friends organised this as a suprise for my 40th birthday. We had Aaron as our driver & Katie as our bar attendant. We laughed from start to finish, our glasses where never empty & the craic was 90. Highly recommended & please do request these too definitely the best craic. Cheers till our nx bike ride together!! Had an absolutely amazing time! So much so that we re-booked for the next day and then stayed on yet another hour after what we’d booked. Declan and Caroline were the best hosts, we had a great laugh and will definitely be back when we come back to Belfast! Would highly recommend to anyone looking for a fun few hours with great music and even better company! First class fun If you're looking for something different this is your tour! It is so much good, clean fun! Booking is easy, advice and correspondence beforehand was responsive, the price is good value, the crew on the day were excellent. 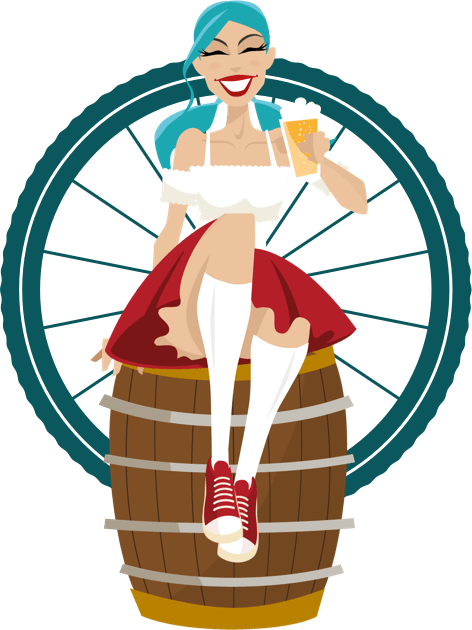 It is a cycling, drinking tour of the City Centre streets of Belfast. Bring your own playlist, booze and mates and you will have the best fun ever! We wish we had booked longer than the hour. Staff Night Out: Had the best fun on this tour on our staff night out. Sooooo funny and the best craic with George and Caroline. Brilliant fun and well worth the money. Couldn't have started our night with a better event. Its a must. Took the Wee Toast tour last night for the first time and absolutely loved it . The two guys, Jack and George were great craic, they were so energetic and friendly. Will definitely be recommending this to all my friends! Cannot recommend this enough! My friends & I laughed from the minute we got on until we got off. The staff are extremely friendly & helpful. We all had a ball yesterday. George and Justin, our barmen and drivers, were fab! This was booked as part of Daughters 21st Birthday celebrations! There were 15 of us, I did not peddle but others did. Fantastic fun, great atmosphere on the big bike, bright lights , loud music, fantastic staff, drinks on tap. Taken to the wonderful Monaco Bar, dating back to the 17th Centuary and did not know it was there! Staff there too were marvellous! I could not recommend this highly enough for a great party night! Some of our party was late, but the guys waited until they came with no hassle, brilliant! Highly recommend this. Don't think twice about booking. We booked for a 50th birthday. We had been a bit hesitant, but from the moment we arrived, the staff explained everything. Helped us with our baggage and drink and started the party! We laughed from the moment we got on until we got off. A truly original thing to do in Belfast. We may have to find another excuse to do it again! Highly recommended, laughter the whole way throughout, as we were a hen party of 5 we shared along with another group of ladies, the craic was brilliant and everyone mixed well and we can't praise the staff enough who joined in with the fun and definitely made the experience one to remember. Our glasses were never empty. Sign up to receive occasional updates and special offers for future Wee Toast Tours. All tours depart and return to our boutique café at 6 Lyndon Court, Queen Street, BT1 6EF. Click here for more information. © 2019 Wee Toast Tours. © 2019 Wee Toast Tours. Website design by Bag of Bees.